Something New – Must. Write. Or else. The husband and I have been invited to speak about Christian Dating, Marriage and Purity several times already. The fact that we got married without a baby in my tummy probably made us the perfect tandem to discuss the topic. Just two weeks ago, we were invited to teach young children at church for their anniversary. The theme, Dakilang Manunubos, Ipakilala nang Lubos, was a challenge. I’ve never discussed topics related to missions — and now, I even had to teach children about it. I guess that’s what levelling up means — exploring brand new stuff with a new audience. To be honest, it is even harder for me to teach with a partner. Of course, Jets and I have different teaching styles because we have very contrasting personalities. He’s the fun teacher; I’m the serious one. I guess that’s how we came up with our Junior Worship teaching setup that Sunday — he facilitated the games, and I taught the lesson. READY, SET, GO. Jets was instructing the kids which message to relay to their group mates in our Pass-the-Message game. Looking back, I realized that as a married couple, immersing ourselves in the company of kids makes us more mature. It develops what is lacking in us — patience and tolerance for children. 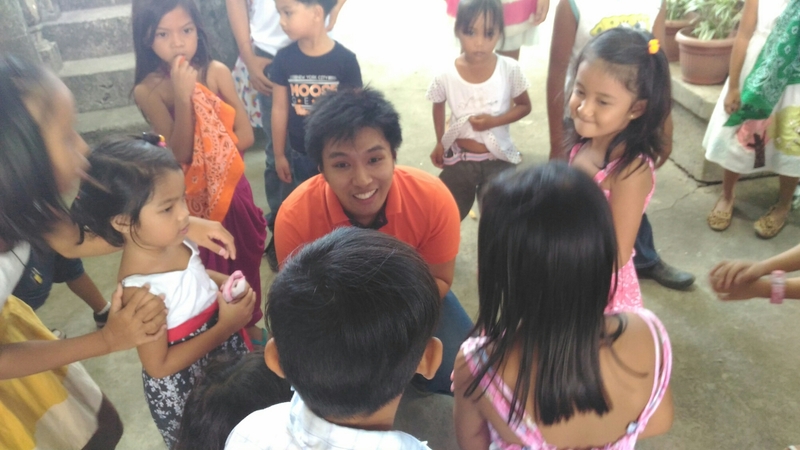 It was also fun seeing the husband mingle enthusiastically with the children. There were times that Sunday when we were starting to panic and subconsciously snap at each other, but thank God, we managed to pull it off.